For meeting the diverse requirements of our clients, we are engaged in offering a wide range of Eye Drops. The range offered by us includes AR-Free Eye Drops, A-CMC Eye Drops, ARVIFLOX Eye Drops, AV-MOX Eye Drops, AV-MOX-KT Eye Drops and BITOB Eye Drops, to name a few. Our offered drops are processed using superior quality ingredients that are sourced from the most reliable vendors of the market. The offered drops are tested on various parameters so as to ensure their zero side effects. 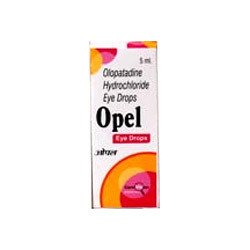 With our profound expertise in this field, we are instrumental in offering our clients a wide range of OPEL Eye Drops. We work under strict supervision of our highly advanced research and development department in order to formulate effective and innovative drops to fit both international as well as national quality standards. Furthermore, we offer our medicines at the most competitive prices. 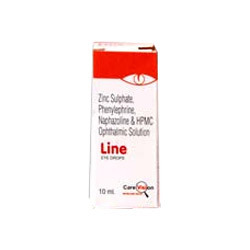 Our offered medicines include LINE Eye Drops. This range of eye drops is formulated using quality-approved ingredients and chemicals having high medicinal properties. Our team of quality controllers examine the whole formulation process of the drops to maintain consistent standard. Owing to the needs and requirements of our highly respected customers, we are providing A-CMC Eye Drops. Our range of medicines is formulated using the best hygienic process. Our team of quality controllers consistently monitors the whole formulation process as well as the finished products to deliver a defect-free range of medicines to the customers. We are the leading manufacturer and exporter of a broad range of Arvizoline Nasal Drops that are highly recommended by doctors. Before dispatching our nasal drops, we test them with utmost care and stringently under the supervision of quality controllers in order to ensure flawless and qualitative offered range.